The first time I heard a “gobbler” was at a football game. Probably not what you’d expect me to say. But, there it is. Fans would wobble those rubbery contraptions in the air, cheering on our players. Gobblers calls will forever be linked to those Saturday afternoon games at Lane Stadium, Home of the Fighting Gobblers. I am a Hokie. Miles and decades away from Virginia Tech, I am much more likely to hear real gobblers in the woods and fields. And now, with some practice, I will even use the “gobbler” for its real purpose: to talk with another turkey. The Gobbler from Primos. This is the one that makes me want to belt out the Hokie fight song. It is also the one that might bring out the gobbler that I wish to bring home for dinner. This call is fun. You take the plastic cap off one end, hold the other end and whirl it around in the air. There’s probably more to it than that, but that’s the gist of it. My problem is that I want to keep gobbling – because it’s fun – and, you know, overuse it. Note: Experienced turkey callers warn that you must be totally aware of your surroundings and use this call sparingly. You don’t want to call in another turkey hunter, looking for you – the fake gobbler. I like these. We have one from the 2003 National Wild Turkey Foundation, likely an auction item. 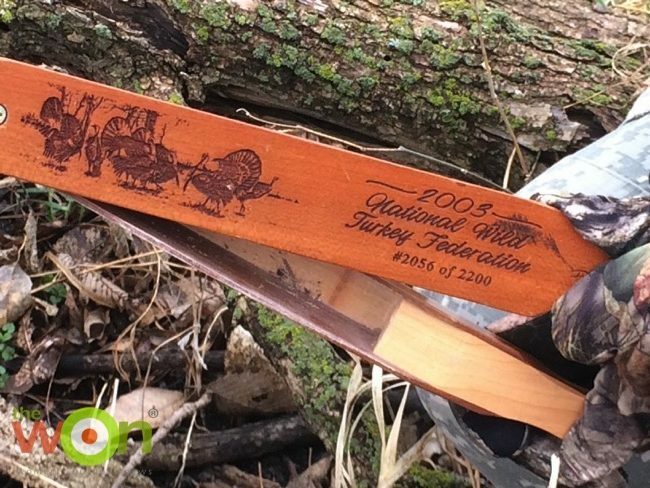 Etched into the paddle of the call is a beautiful scene of a half-dozen turkeys in the woods. Box calls come with 2 attached parts: the box and the paddle. The box is hollowed out and the paddle is fixed to the box with a screw. By striking the paddle across the edge of the box, a screeching sound emits, producing a yelp of sorts. Holding your thumb on one side of the box while striking the paddle across the other side of the box creates more of a clucking sound. Play around with this one. The key is to listen to the birds in the woods and try to imitate them. 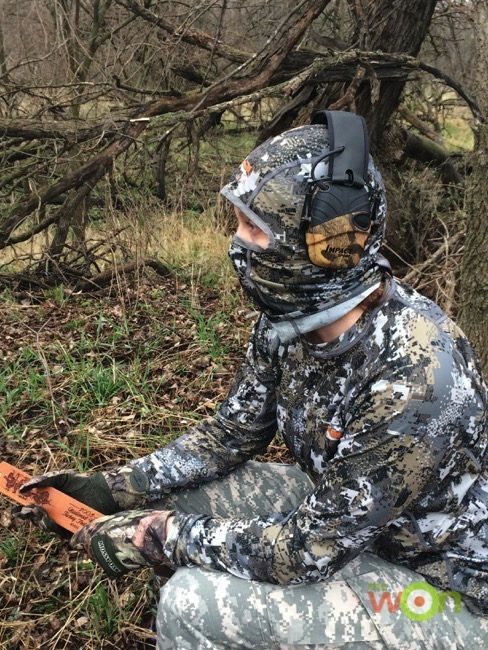 Use an electronic shooting sport earmuff, such as a pair from Howard Leight, which will amplify the low-level sounds of the turkeys, while reducing the loud gunfire when you pull the trigger. Tip: Place a rubber band around the box when not in use. This keeps the paddle from squeaking against the box and allows you to stealthily enter the woods. Another tip: Rub chalk along the paddle. I like these, too. Pot calls are circular disks the size of some coasters, often made of wood. Holes are drilled through the wood disk and a strike plate is placed into the top of the disk. These strike plates can be made of slate, aluminum, glass, copper, and wood. I’ve used slate and aluminum. Our aluminum one is tonal and produces a slightly higher pitch. The slate plate is a bit lower and emits a raspier sound. Tip: Rub sandpaper across the slate strike plate to prime it. 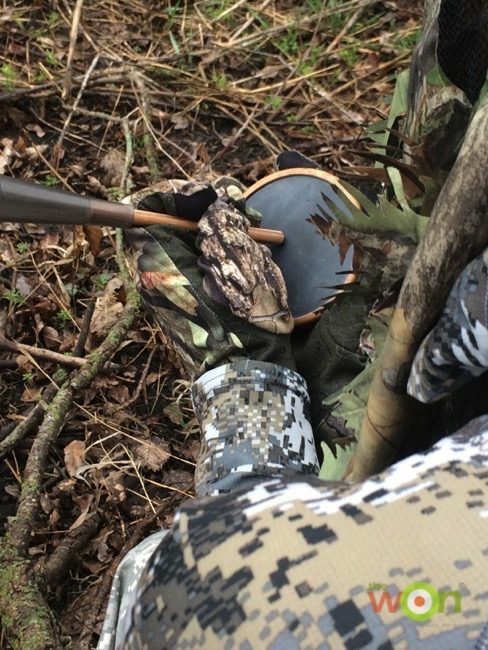 Pot calls produce sound when a hunter moves a striker across the face of the call. Strikers are most often wooden sticks with a flat, slanted, or rounded end on one side and a handle on the other. It’s like a stylus, in a way. Use the striker to make short straight-line marks (like striking a match) or small “c” shapes upon the plate. This will take some practice, but just like with the box calls, listen to the turkeys and try to imitate them. I own another type of call that looks like a combination of a box call and a pot call. 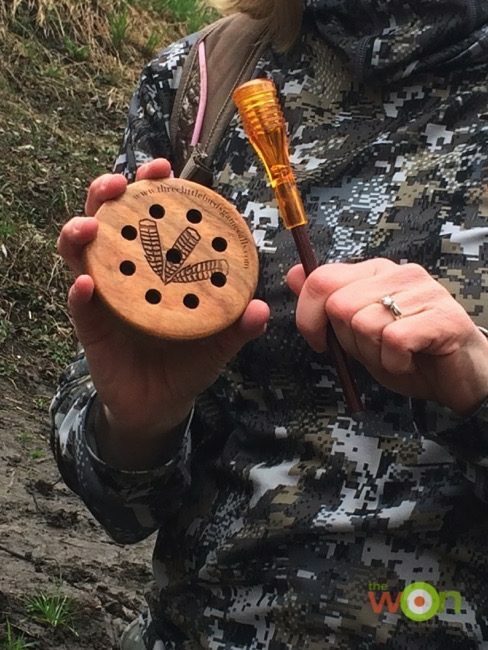 It’s called a Peg and Slate Call and ours is from Dad’s Custom Box Calls. It is shaped like a small rectangular box (an old 35-mm film canister would fit inside) and a small striker fits inside. You’ll need a rubber band for this one, too, so the striker stays secure. You hold the box in one hand, and with the other hand, you move the striker across the slate covered bottom of the box. This is compact and easy to use. The sound I can produce with this call is a bit like a young hen. Hey, use what works. Some toms might like this. We just picked up a Push Button Yelper by H. S. Strut. This wooden box is slightly larger than the last call, but considerably smaller than the traditional box call. The beauty of the push button call is that it requires only one hand to use, thus freeing up your other hand to hold your shotgun. A wooden dowel is held within the box and extends through two holes, one on each side of the box. A spring-like contraption inside the box keeps the dowel in place until your finger presses the dowel. As the dowel slides across the wooden hole, a squeaky yelp is made. This seems to be a good bet for beginners because it doesn’t require much finesse, but you might also try it while holding your shotgun at the ready. Riiiight. I’m told (and I believe) that some people can work a mouth call. I’m told it takes a lot of practice, which I also believe. I have not put in a lot of practice and it shows. A mouth call is just what it sounds like: a small flexible mouthpiece that you put between your tongue and the roof of your mouth. Then you breathe out. When I do this, it sounds and feels like I am trying to spit after a shot of Novocain. In fact, placing the mouth call in my mouth reminds me a bit too much of being at the dentist. And for that reason, I’m out. 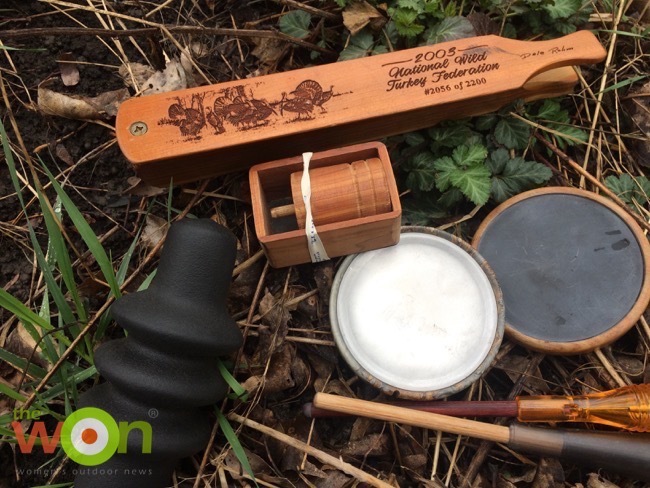 The reason for turkey calls is to get the turkeys talking and walking toward you. Just like any conversation, you have to know your audience and speak their language to get them to respond the way you desire. Just as a pickup line at a bar, some calls are much more effective than others. 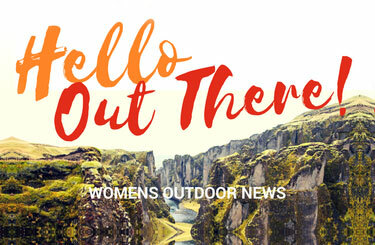 Listen to what the local turkeys are saying and how they are saying it. Try to mimic them. Use whatever call gets you to that point. Then, begin the conversation. Invite him over. Watch him come running to you. Then, blam. Touchdown! This Retro WON first appeared April 11, 2017.